Recently, we wrote about Econet’s new WhatsApp Lite and Plus bundles as having differing speeds in addition to the pricing and the download and upload caps. 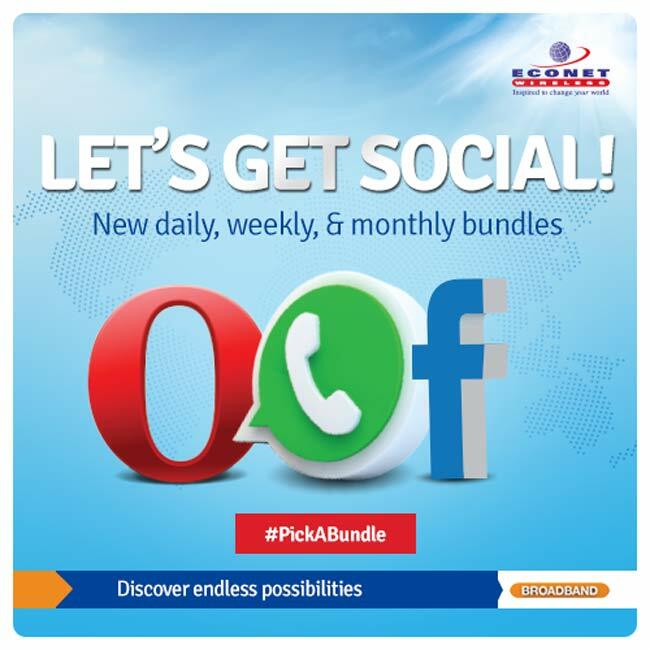 Econet has informed us as a matter of fact that the bundles effectively have the same speeds and all packages allow media downloads albeit at differing download caps and pricing. Econet has introduced a Fair Usage Policy, a mechanism for allocating data fairly across users with higher download needs and those with average necessities, especially on WhatsApp. The good news is however that when you reach your maximum capacity, you are not barred or disconnected, but throttled down to lower speeds. This has not spared Econet the ire of frustrated subscribers though. Social media has been alive with anti-Econet messages expressing their minds for being taken on a ride. In all fairness, Econet seems to have a case to answer, because this was after all, a price increase. Quote of the month: It’s more than a thief, it’s a Buddie. Econet Wanyaless: Inspired to empty your pockets. The statement from Econet goes a long way to clarify how its bundles do work, but with all these jibes from users, there’s no way of telling if subscribers will be ready to accept it or they will just ignore it and wait for something like a price reduction. It seems the social media data bundles cause more havoc than the calling tariffs. I think Econet should be more sensitive regardless of its subscriber base. I have long since dumped econet. They steal everywhere. Try telecel and net one. Ditch econet. They charge Ecocash users 2c to check balance who knows what else they are secretly billing us for, hence the disappearing airtime. Econet are just shameless thieves. In fact mabhinya chaiwo. Vari kuti bhinya etym yedu. Uv long left econet, the mother of etym oppression and thievery to defenseless zimbabweans. I used to respect masiwa. Now i lost all respect coz he a liar and thief. All he cares for is my etym. He no different from a dictator. Econet must have a system then can account for all our etym used and how its used. They must provide us with these statements. As long as they are not accountable and transparent, they will keep stealing or abusing us. Leave econet period. Subscribe and starve the econet way. Amasela eAirtym lawa, sikhathele, welcome to Netone. THE CHOICE IS YOURS! !